“Maine Justice” returned to the airwaves last night in the latest episode of “Saturday Night Live,” both confusing and delighting actual Mainers, judging from the response on Twitter and Facebook. 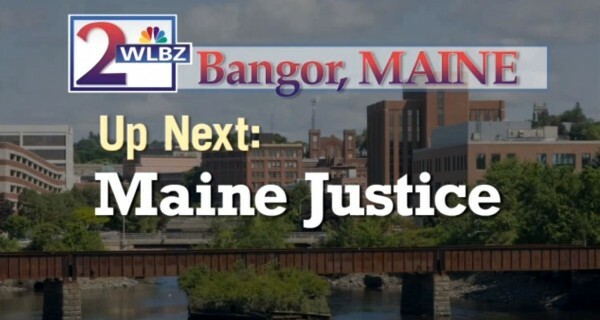 Opening with a photograph of Bangor and reportedly airing on WLBZ channel 2, the sketch takes place during an episode of fictional “Maine Justice,” the credits of which feature Southern staple “When the Saints Go Marching in” and an animated green alligator. Host Justin Timberlake takes over for Jamie Foxx in the role of the bailiff, but both he and the judge, played with lunatic enthusiasm by Jason Sudeikis, continue to speak in the same deeply exaggerated Southern accents from the original sketch. Defendant Andy Samberg is rightfully confused, while the accident in his case reportedly took place on Union Street. “SNL” either has someone on staff that’s familiar with Bangor or they took the time to Google it before show time, a nice little touch appreciated by those of us from the area. The gator from the credits actually shows up in the courtroom this time around, although a little treat is all it takes to get him to go away. And the verdict? In the last sketch, the defendant was sentenced to “eat one of the spiciest bowls of jambalaya you’d ever seen.” This time around, he is ordered to stuff himself with beignets, the fried dough popular within New Orleans Creole cuisine.